The Tolly Group has “worked with virtually every major vendor and evaluated the most important products and technologies to appear over the past decade.” That’s why we recently commissioned them to test the Freedom 9000 Series Open Networking Switches with 10/25/100 Gigabit ethernet. The Freedom Series are based on the principle of Open Networking and disaggregation – these are Edge-core based white boxes pre-loaded with the Pluribus NetVisor ONE Linux-based operating system and branded as the Freedom Series. In this test, in addition to the OS Pluribus’ next generation SDN solution, the Adaptive Cloud Fabric, was also tested. While I was impressed with the strong performance of the switches with the NetVisor ONE software, what really strikes me are Tolly’s comments about the Pluribus Adaptive Cloud Fabric™. Whether you prefer the ease of deploying the Freedom series open networking switches, or the economics of deploying white box hardware and managing the installation of our Pluribus Netvisor operating system yourself, the Adaptive Cloud Fabric is a key, common element of the solution. Wire rate performance for 10G, 25G and 100Gigabit Ethernet with low latency with extensive L2 & L3 protocol support. Fast network traffic convergence time in case of network failures. Self-healing Adaptive Cloud Fabric, which can span across sites with fabric-wide programmability with CLI, GUI (UNUM) or Rest APIs. Single point of management to reduce time to deploy and configure, simplify software upgrades, rapid troubleshooting and reduce human configuration errors. Simple and cost effective to deploy, no controllers makes Adaptive Cloud Fabric easy to insert into any brownfield network based on standard L2/L3 protocols and any topology. Easy to extend across multiple sites and geographies: the fabric control plane can be easily transported across any core/wan network, making it possible to extend the Adaptive Cloud Fabric single pane of glass across multiple locations. For the complete Tolly Group test results on the Pluribus Freedom 10 Gigabit Ethernet Switch – 9272-X, click here. For the complete Tolly Group test results on the Pluribus Freedom 25/100 Gigabit Ethernet Switch – 9572-v & 9532-C, click here. 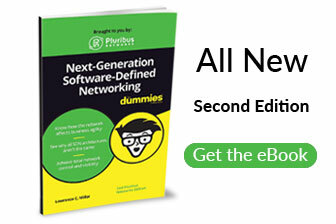 For more details on Pluribus Networks and the Adaptive Cloud Fabric, download this eBook. Mike is Chief Marketing Officer of Pluribus Networks. Mike has over 20 years of marketing, product management and business development experience in the networking industry. Prior to joining Pluribus, Mike was VP of Global Marketing at Infinera, where he built a world class marketing team and helped drive revenue from $400M to over $800M. Prior to Infinera, Mike led product marketing across Cisco’s $6B service provider routing, switching and optical portfolio and launched iconic products such as the CRS and ASR routers. 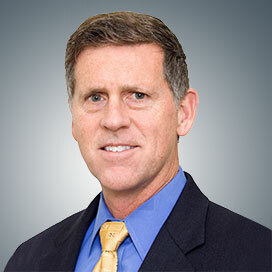 He has also held senior positions at Juniper Networks, Pacific Broadband and Motorola.